Massa to retire from Formula One. Again. 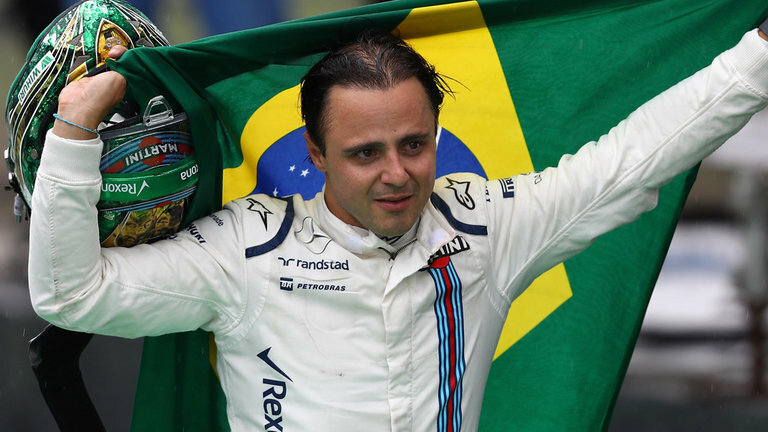 Brazilian Formula One driver Felipe Massa announced his retirement from Formula One (for the 2nd time) at the end of the season, on Saturday (Nov 4). Massa (36) also announced retirement last season but was recalled by the Williams team after Valtteri Bottas left for Mercedes following the retirement of 2016 world champion Nico Rosberg. “But this time will be my last race in Brazil of Formula One and my last race in Abu Dhabi,” he said, thanking his family, fans and sponsors. Massa won 11 races with Ferrari. Impressive to say the least. Found this video on YouTube – lots of fun. Check out Massa having fun with Alonso! Massa’s last victory was at the 2008 Brazilian Grand Prix. Should be interesting to see where Massa pops up next. Stay tuned race fans!